Hannah Shin is one of Australia’s leading younger generation pianists and has garnered prizes and accolades around the world. 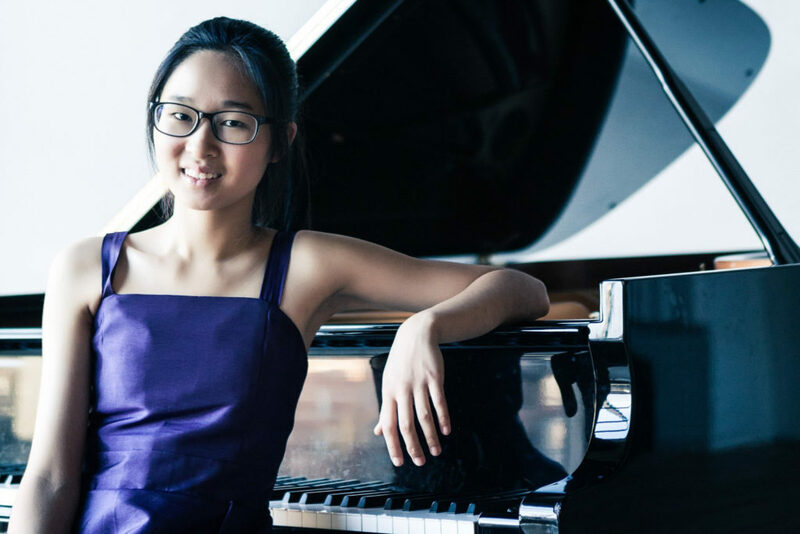 Her recent major prize in the Zhuhai International Mozart Competition was one of the most significant prizes awarded internationally to an Australian pianist – and that at just age 17! She has made numerous appearances with orchestra, performing concertos ranging from Mozart and Beethoven to Tchaikovsky and Prokofiev, with renowned orchestras such as the Salzburg Chamber Soloists and the Thailand Philharmonic Orchestra, as well as the Ningbo Symphony Orchestra and the Poland International Quartet. She has also performed with various Melbourne orchestras, at venues including the Melbourne Recital Centre. ​Solo highlights include being the youngest pianist invited to participate in 3MBS’ Beethoven Marathon, performing before a capacity audience at Deakin Edge Auditorium. She has also been showcased at the Sydney International Piano Competition of Australia, broadcast live on ABC FM. She was recently invited to perform as guest artist at the Herald Sun Aria, at Hamer Hall, Arts Centre Melbourne. She has been featured on Kansas Public Radio, as well as China Central TV, and has given recitals in the USA, Germany, Denmark, Russia, China, Thailand, Korea, Malaysia, and Indonesia. Hannah has had considerable success in competitions both in Australia and overseas, winning major prizes at international competitions in China, Thailand, Malaysia and America. Prizes in Australia include the Margaret Schofield Memorial Prize for Chopin, and the MSV’s Nehama Patkin Award.